Friday, Jan. 26, 6-8 p.m.
Indigenous Estate [Oyate Hotanin] is the community response to the scaffold placed by the Walker in the sculpture garden and multiple incidents of invisibility and disregard of Native artists, narratives and images. It is a series of conversations to engage community around the questions: Who governs identity and cultural appropriation? How do we navigate authenticity versus censorship? What is art in this reality? What is the role of the art world in responding? Is the art world complicit? 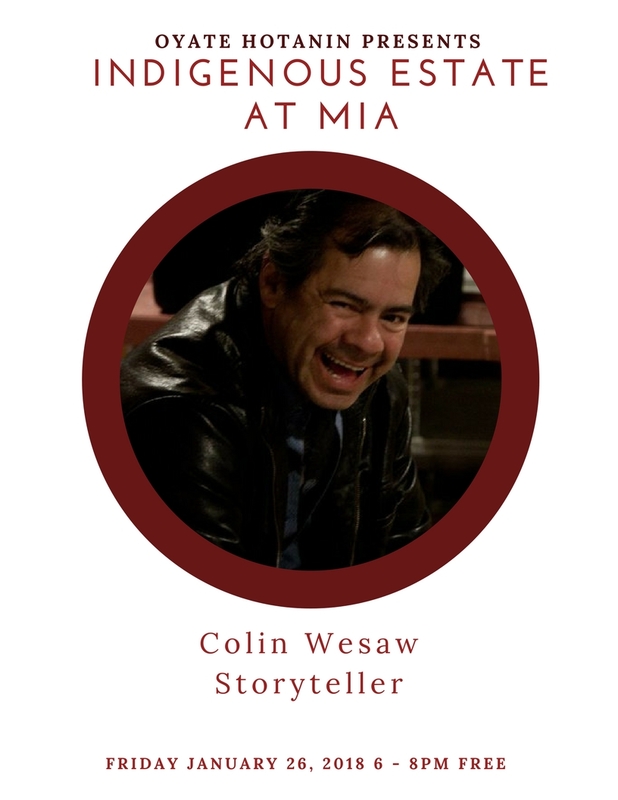 Join us for a reception at MIA with traditional storyteller Colin Wesaw. We invite you to join the conversation and shape this vision with us. 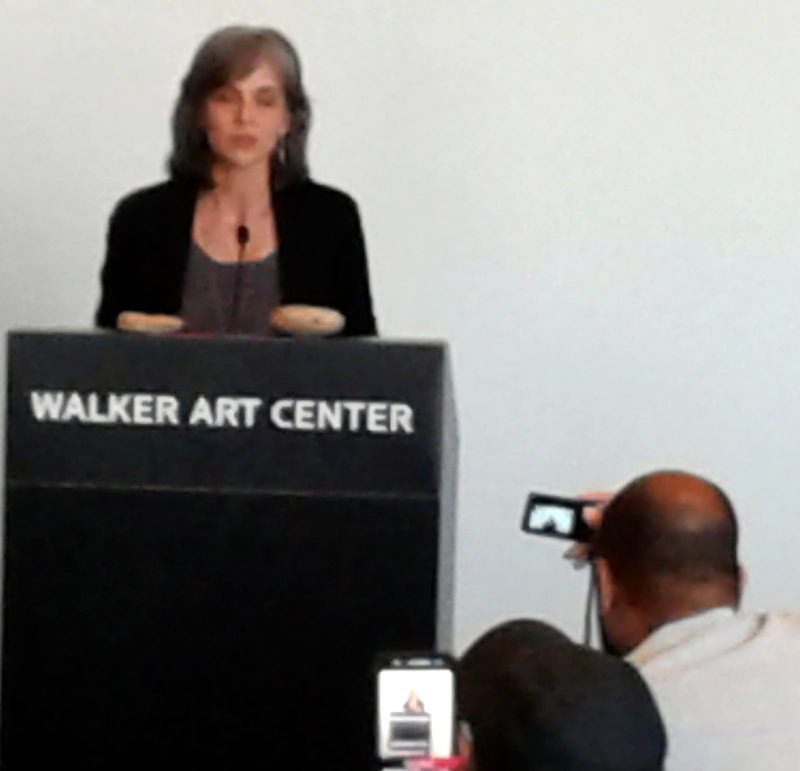 Olga Viso, Executive Director of the Walker Art Center, spoke at a press conference about Scaffold. The Star Tribune is reporting that Olga Viso is resigning as the Walker Art Center’s executive director effective at the end of the year. Viso has led the Walker since 2008. No reason was given for her resignation. 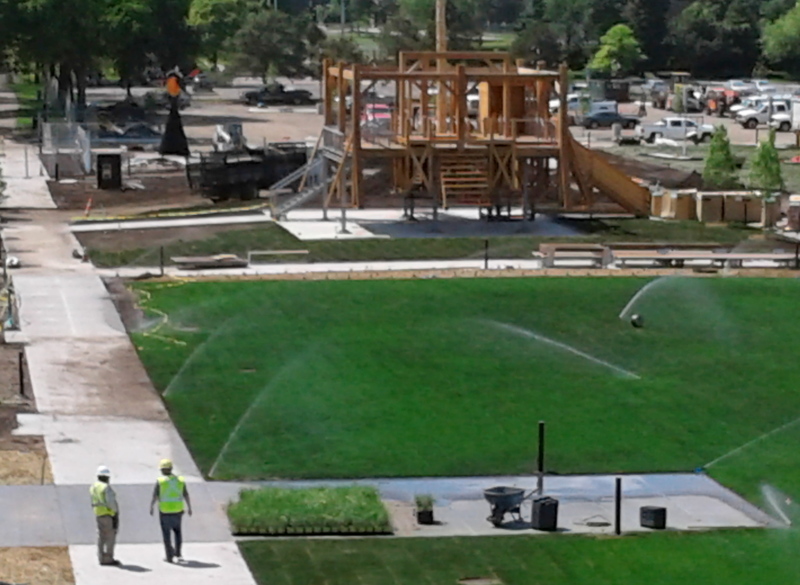 Her decision to step down comes after the Walker finished the multi-million overhaul of its campus and the Sculpture Garden. Her resignation also comes on the heals of the controversy over the sculpture Scaffold, a piece that was added to the new Sculpture Garden and ultimately removed. Scaffold, a two-story tall sculpture, included seven different historic gallows; it was supposed to be a commentary on capital punishment. However, the sculpture’s most prominent feature was the gallows used to hang 38 Dakota men in Mankato in the wake of the 1862 Dakota-U.S. War — the largest mass hanging in U.S. history. Neither the artist nor the Walker thought to ask Dakota people for their reaction, and as soon as it was put up it was engulfed in controversy and protest. “Scaffold’ before it was taken down. The Walker Art Center erected Scaffold earlier this year, a new addition for the reopening of its renowned outdoor sculpture garden. 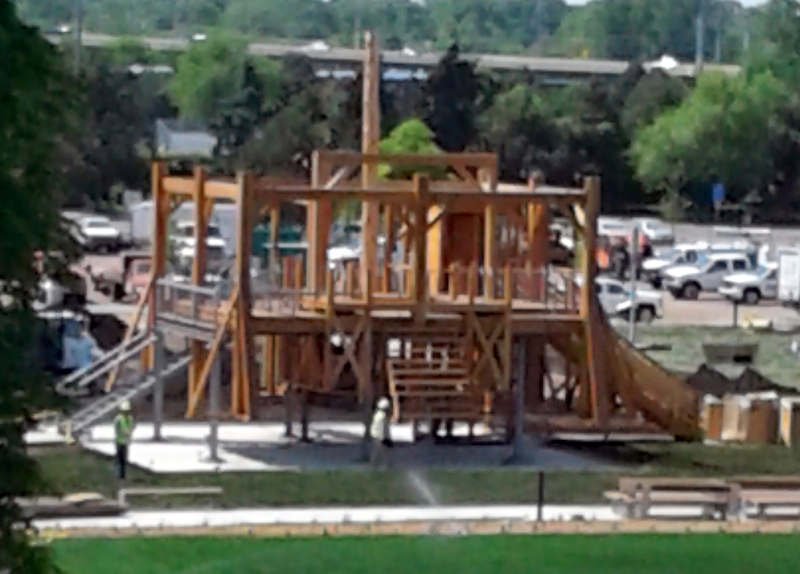 The work was supposed to be a commentary on capital punishment, a conglomeration of several historic gallows. But the sculpture’s most prominent feature was the massive gallows used to hang 38 Dakota men in Mankato following the Dakota-U.S. War of 1862. Native people found Scaffold offensive and hurtful, as the hanging of the Dakota 38 (plus 2 additional hangings later at Fort Snelling) continues to be a deeply painful part of their history. A white artist did the piece and Dakota people weren’t consulted. Following the controversy, the Walker agreed to remove the sculpture. The wood will be buried in an undisclosed location, a decision which reflects the issues that arose following the mass hanging.